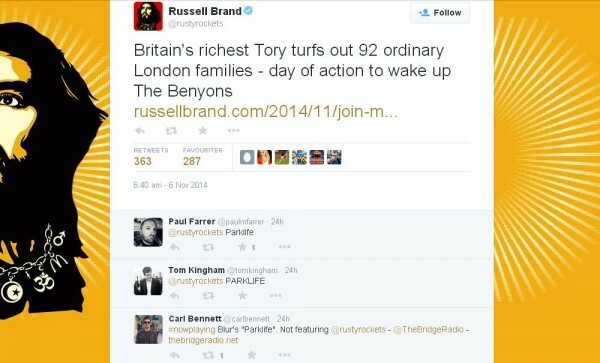 Russell Brand claims he is to record an Oasis song as a response to the wags who have been treating his rants like the lyrics to Blur hit Parklife. The comedian has found that his Twitter messages featuring his thoughts on society have prompted others to add the word ‘Parklife!’ because they sound like the rambling lines of the Blur song released in 1994. 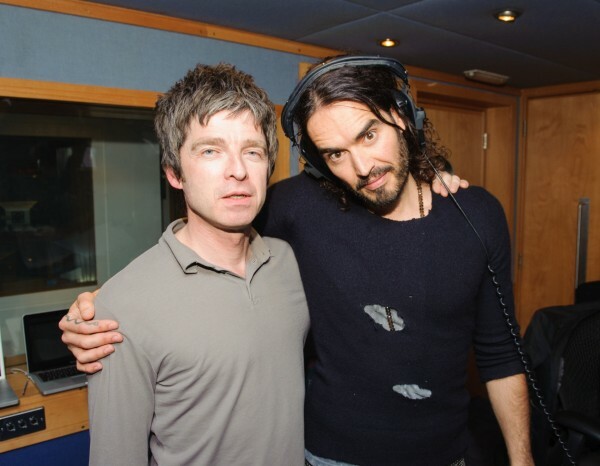 Russell said he wasn’t offended by the mickey-taking, but was planning to team up with Noel Gallagher to record a version of the hit Roll With It by Oasis, who were famously Blur’s chart rivals and had a high profile battle to top the charts 19 years ago. He pointed out that his sidekick from his old Radio 2 show, Matt Morgan, had similarly said ‘Parklife!’ many years ago when he launched into a rant. The comedian and actor said his friend Noel would not be attending his live show at the Royal Albert Hall in London next week.